Health & Body | Doris S. Michaels Literary Agency, Inc. 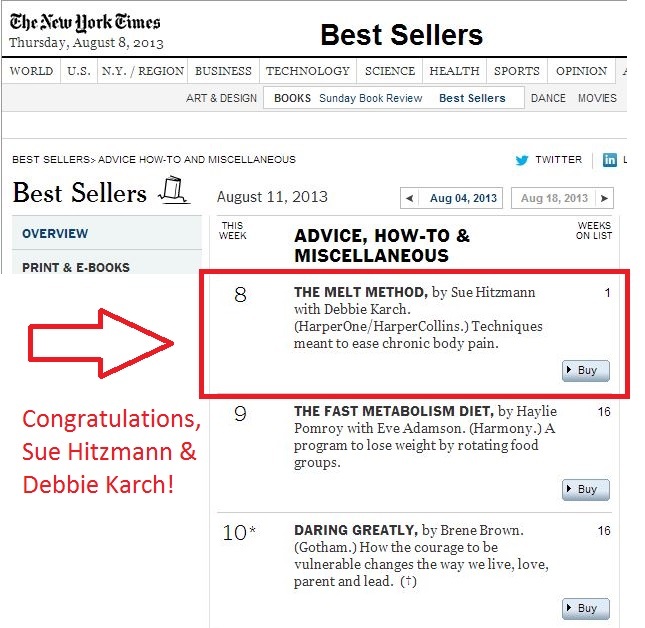 The MELT Method hits #8 on The New York Times Best Sellers list! MELT Weekend Training Retreat with Sue in June! Choose from luxurious shared, semi-private, or private off-site accommodations that include three healthy meals each day. Or stay at one of several Montgomery, Texas, hotels. Training is from 10 am to 6 pm, Saturday and Sunday.